Reading Time: 15 minutesCheck out these 12 treks in the Himalayas which you can do in the second half of the year. Do you know what all treks you can do in the first half of the year? Check it out here. One of the most fascinating places in India for trekking in the Himalayas is Stok Kangri that lies in the beautiful area of Ladakh. Ladakh is located in the northern state of India and is famous for compassion and support of its residents. Leh the capital of Ladakh is situated at the height of 3500-3800 mts of sea level and is one of the most beautiful places in India. Stok Kangri is one such peak that has gained tremendous popularity in the last few years. Illustrating the Himalayan range with a wider perspective, this trek of 40 KM with a maximum altitude of 20,800 ft, embraces deserted surroundings and offers the trekkers the opportunity to experience complete peace. The entire trail has incorporated many ridges so one can feel the sudden change in scenery. Stok Kangri peak provides the traveller, a panoramic view of Zanskar and the Indus Valley. Sheer heaven on earth is the phrase that will come to your mind while undertaking the Kashmir Great Lakes Trek, for the state is a land of divine beauty. When the starting point of your excursion is a bewitching place like Sonamarg, you know that you are in for a world of excitement. As you walk along the trails, you get to witness almost the entire range of ecological zones in the Himalayas. When you start the hike, you are amidst thick temperate forests of pine. You then gain altitude and enter jungles of morinda spruces, pindrow firs and deodar trees, which disappear as you reach altitudes of over 11000 feet. Here you are greeted by expansive meadows of lush grass and shrubs, and they are easy to trek through due to their comparatively flatter terrain. From these grasslands, you will be able to see crystal-clear lakes and snow-covered mountain peaks in the distance. 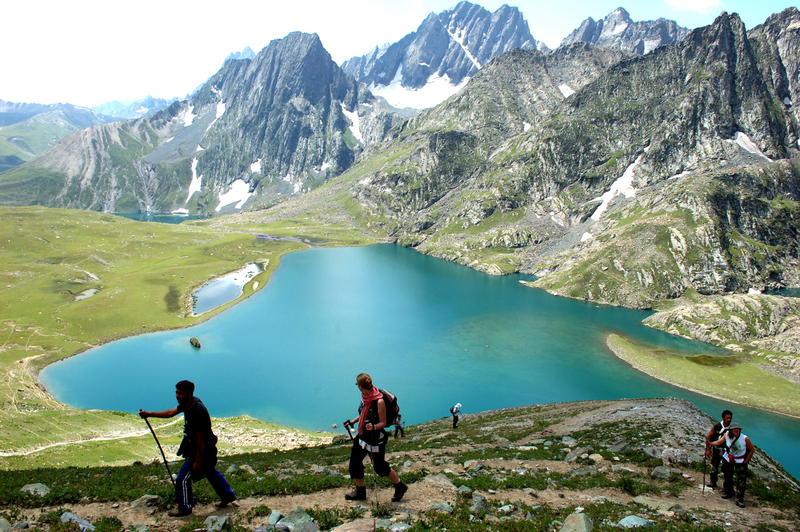 Post beginning from Sonamarg, this spellbinding Kashmir trek will first get you to Nichnai. The journey takes you along hissing streams, numerous enchanting valleys and forests of maple. You will relish lunch at a high viewpoint called Shekdur and then travel through rough, rocky terrain; and on wide, gentle valleys to reach Nichnai. The place gives an amazing view of three mountain peaks, all buried underneath mounds of snow. At dawn, you cross a pretty brook, ascend through picturesque Himalayan meadows and go past a scenic alpine lake before reaching the Nichnai Pass. The way to Vishansar Lake from here goes through more grasslands, which are covered with flowers of iris. After resting and acclimatising by the lake for a day, you resume your excursion and make for Gadsar. This day your Kashmir trekking will take you first to Krishansar alpine lake, and then to Gadsar. The path again offers bewitching views of the surrounding mountains, and of the lush greenery covering their lower sections. From Gadsar, hike through more mountain grasslands, and reach Satsar lakes. As you start descending form here, you will once again find yourself in the middle of scenic coniferous forests. Then you reach Nundkhol Lake, and later walk further to reach Gangabal Lake. Your journey will end in the picturesque village of Naranag, from where you will drive back to Srinagar. In Sonamarg and Naranag, you will be treated to scrumptious Kashmiri dinner, which will give your naturally magnificent trek a rich cultural aspect. I don’t usually prefer trekking but I love stories. The only reason why I opted for Swargarohini is because I had heard so many stories about the route. The popular legend behind the name Swargarohini is that the peak is the stairway to heaven. 5 Pandavas, Draupadi & a dog embarked on the journey but only Yudhishthira & the dog could reach the peak & accepted in heaven. The trek is 25 km long & it falls between difficult to very difficult. It starts from Mana, which lies just 3 km ahead of Badrinath. It is also known as India’s last village. The trek starts from a green pastures & Sarasvati River’s birthplace. Gradually it takes you higher & the trek starts becoming difficult. 1st halt is usually in Lakshmiban. This is the place from where you can see Vasudhara waterfall. The second night halt is near Chakratirth. The third night is spent near Satopanth Lake. From the lake, you can see the peak of Swargarohini. Fourth & Fifth nights are spent again in Chakratirth & Satopanth respectively. The best time to go on this trek in the Himalayas is between July – September. Do not opt for this trek if you don’t have any past experiences of trekking. Imagine a vast green pasture in the lap of Himalayas which is completely dotted with numerous colourful flowers and you are in the middle of that. They are all wild flowers and you’ve never encountered with them before. Your guide goes on introducing each of them by name, Blue Poppy, Red Potentilla, Geranium etc and you wonder how not to have heard or seen any of them before. You see that the whole valley is covered by monsoon mist and the pasture carpeted by colourful flowers and immerse yourself into the magical sight of a wonderland and then doubt if that was a dream. It was an easy trek to this place and if a first timer, you’ve now realized how rewarding a trek to the Himalayas is and for regular trekkers it’s a never had before experience. So indulge yourself in a unique experience of trekking and be amazed by this wonderland. You can reach the base camp of Valley of Flowers, Ghangaria, by trekking 14 Kms from Govindghat which is the nearest road head that can be covered by road from Haridwar/Rishikesh with a night halt at Joshimath. Best Time to Go: Mid July to mid-August. Kheerganga is a must do when in Kasol or Manali, India. Kasol, located in the state of Himachal Pradesh is the hippie paradise with the weed growing freely everywhere. Malana, the magical valley producing the best hash in the world is a half day trek from Kasol. The base point of the trek is from Barshani which is 20 km from Kasol and one can reach Barshani via private cabs or via local buses. The highest point of this trek is 13,025 feet. Kheerganga is also the first halt if you are going for the Pin Parvati Trek.Its a 12-14 km trek one way and it is mostly acclivity for the majority of the part.The trail passes through villages, apple orchards and finally through a mountain trail.There are a lot of cafes en route to grab a quick bite and refresh. Generally the trek is an easy one but during monsoons it becomes a bit challenging as it is all slushy slushy.We crossed a waterfall and a landslide en route which was an experience in itself.The reward of trekking for 4-5 hours over a distance of 12-14 km is taking a relaxing dip in the hot water springs which are the highlight of the trek. The springs are sure to relax your muscles and shoo away the tiredness and it is said that the water has some therapeutic properties. Kuari pass trekking is full of extensive panoramic views of the peerless Himalayas to the north-east, and the vast stretches of verdant valleys to the south-east. Nanda Devi, Dronagiri, Bethartoli, Hathi Parvat, Devasthan etc are some of the glorious peaks to be seen. On a clear day of trekking, it is possible to sight the Nanda Devi Sanctuary and its galaxy of peaks.Gailgarh, 5 km from Kuari pass, is a little cozy nest in wonderful, natural surroundings. This is a good point to camp for a day. About 6 km south-east of Gailgarh, is the partially snow-covered peak, Pangarchulia, height 5183 mtr above sea-level. Six kilometres east of Gailgarh, altitude 3354 mtr above sea-level, is a little fairy land called Delisera. It is a vast expanse of flat land with natural terraced slopes through which a small stream ripples out. North-east of Galigarh about 6 km, contrary to its name is a lovely lake, Bore Kund, which has a perimeter of almost 2 km. This lake is said to be very deep and is surrounded by a wealth of dense forests. The Kuari pass trek is also known as “Curzon trail” after Lord Curzon, who took this expedition in 1905. He was the Viceroy of India (1899 – 1905). TREK STARTING POINTS: The Kuari pass trekking can be organised from three different starting points of Ghat, Joshimath and Tapovan. The trek from Ghat is the longest one. All the starting points reach to Gailgarh, where from the Kuari pass is scaled on same day and returned back to the base camp or further ahead to finishing point. Kalindi Khal is an infamously dangerous and difficult trek in the Garhwal Himalayas of Uttarakhand, for various reasons. This high altitude pass at a height of 6000 meters is deeply infested with crevasses and there have been many casualties recorded on this route. It is extremely difficult to get permits for this trek. The 11 day trek starts from Gangotri (Uttarkashi district) and ends near Badrinath (Chamoli district), touching two out of the four ‘dhams’ (pilgrimage sites) local to Utt arakhand.The trek route goes through Gaumukh – the origin of Ganga and very close to Tibet border. The torturous route with lot of moraine, boulders, snow and melting glaciers exhaust every ounce of energy out of the trekkers. But it also rewards them with beautiful panoramic views of snow covered mountain peaks, glacial lakes, snow bridges and hinging glaciers. I, along with my team had successfully crossed Kalindi Khal in June 2016. During the climb, I witnessed some nerve-wracking moments- the fall of one of my co-trekkers in the crevasse who was fortunately rescued, a huge avalanche near our campsite and leftovers of the trekkers who were stuck on this route in the 2014 cloudburst. This expedition is particularly special to me because my trekker friends encouraged me to join the team even when I wasn’t ready for it and I ended up adding a feather to my cap. The best time for this trek is June (when the crevasses are covered with heavy snow) and September (when the crevasses are open with lesser snow). Everest Base Camp trek is everybody’s dream not for nothing. I had the opportunity to finish this trek in the Himalayas successfully in October. I trained for a month to prepare for the trek. The training included mild sessions of jogging for 1 hour every day and healthy eating for a month. The trek is not technically difficult but tiring. There was no trekking on the snow which made our task easier. Each and every day at the trek was a dream. I am well traveled and yet the landscapes I saw in Everest Base Camp trek are still the best I have seen till that. The most tiring stretch was the steep ascend to Namche Bazaar. It was also the last commercial place on the stretch. After Namche, the trek becomes lonelier and even more beautiful. My favorite were Pheriche and Tyangboche. Pheriche was like a little fairyland in the middle of nowhere. I loved Tyangboche for its silence, it’s monastery and the lovely bakery. We were lucky to catch a monk dance in the monastery. For the entire trek I chose not to have a bath. Neither did I try to get wi fi because places like these are meant for silent meditation and reconnecting with yourself and the nature. One of the most challenging and the most celebrated trekking in the Garhwal Himalayan ranges are the famous Roopkund Trek. Roopkund is actually a beautiful crystal clear Himalayan lake, located on the lap of Chamoli district of Uttarakhand. A trek to Roopkund is being termed as the most mysterious treks in Garhwal Himalayas due to the presence of some kinds of mysterious skeletons of any group that exist there since ancient ages. It could be some kind of natural calamity or the curse of God (what people speculate), the troop of the king of Kannauj had been died at this spot which attracts many trekkers here. The starting point of the Roopkund Trek is Debal and the lake is located on the Nanda Jat route to Hemkund. The Roopkund Lake is a shallow lake with the depth of only 2 meters, where the human skeletons can be easily visible at its bottom. Roopkund is the destination of a religious event in Garhwal called the Nanda Jaat yatra which repeats in every 12 year. Thousands of people participate in this event, and many devotees continue their journey to Roopkund. In the month of September the mystery lake of Roop Kund melts for about a fortnight or so, yielding its dark secrets. This astonishing lake is being surrounded by snow capped Trishul peaks of Himalayas. The Roopkund Trek is one of the most impressive treks to find a group of attractive peaks of the Himalayas all around. All through the strenuous journey, the trekkers can find the bountiful attractions of captivating peaks like Bander Pooch Peaks, Haathi Parvat, Chaukhambha Peaks and the mighty Trishul peaks. All these environs are completely placid with snow bound rugged areas and the trekkers can get a hint of finding themselves at Lord Shiva’s true abode at the Himalayan peaks where the presence of the number of large and small temples of Lord Shiva are the best examples for it while experiencing the Roopkund Lake trekking tours. Equally the Shivling Base Camp and the Baghu Basa area can be the perfect location for camping while trekking at Roopkund. Yuksom Dzongri Goecha La trek is one of the famous trekking routes in Sikkim. While trekking from Yuksom to Dzongri to the Goecha La pass, you can see the majestic magnificence of Mount Kangchenjunga, Mount Kabru and Kabru Dome and a spectacular view of the other smaller Himalayan giants within its mountain range. Also, on this trek, you can see the beautiful Samiti Lake, Thangsing and Tsokha. Yuksom is basically a historical place stating the true culture and tradition of Sikkim. It was the capital of Sikkim earlier and enacts to the Kangchenjunga National Park. You will see burdened forests of pine, magnolia, oak, spruces, rhododendron, maple, chestnut and many other types of pines culminating in the Dzongri field on this trek. Also, a wide variety of wild plants can be easily found on this trail. You can also see rarely seen Barking Deer, the Red Panda, Marbled Cat, Musk Deer and the Himalayan Black Bear. You will climb up to Gocha La pass beside the Samity holy lake and Onglakhing glacier moraines. It is the highlight of this complete trek from where you can enjoy the overwhelming landscape of the Talung glacier. Hampta Pass is one of the most delightful treks in the Manali region. 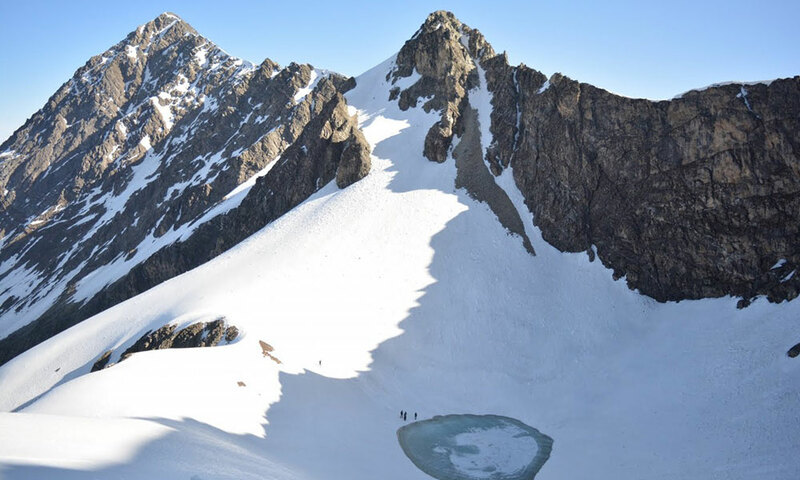 Deo Tibba at 6001m is a popular peak in the eastern Pir Panjal Range and Hampta Pass (4270m) used to be the traditional route between Kullu and Lahaul valleys. This trek takes us over the majestic foothills of the Himalayas, the Pir Panjal Range, crossing at Hampta Pass (4270m) to reach remote Lahaul – an isolated district of Himachal Pradesh. The barren landscape in the upper regions and the green valleys below make the trail awe-inspiring. Hampta pass offers scenic views of lush green valleys, towering snow-clad mountains, and hills. Leaving the Manali valley, the trek proceeds through forests of walnut, oak, the occasional alder and meadows to reach the base camp of Deo Tibba and then proceeds towards the Hampta Pass before descending to Chattru in the Lahaul Valley on the other side. This is a moderate trek that packs a lot into 8 days. 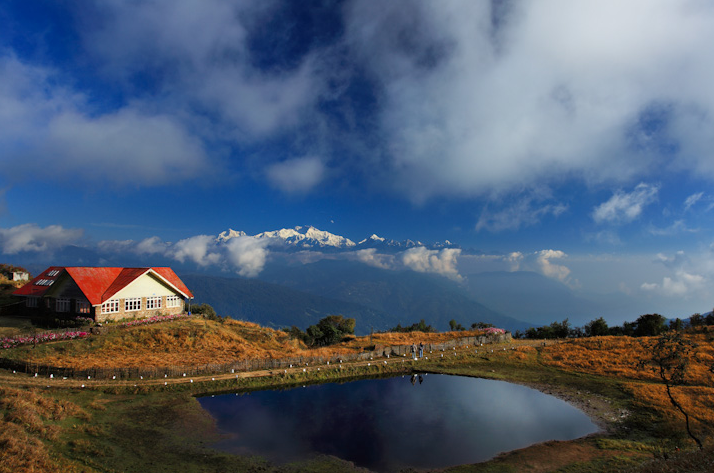 Sandakphu, being the highest peak in West Bengal, offers grand views of the world’s tallest peaks. Lhotse and Makalu, the fourth and fifth highest peaks in the world stand tall at 8,516m and 8,463m, trying to outdo the world’s tallest peak. But how can they? After all, the Everest, the highest peak in the Himalays stands between them, towering over everything! On the other hand, Kangchenjunga, the third highest peak in the Himalayas, stands with its family at 8,586m. The Kanchenjunga cluster is famously called The Sleeping Buddha, thanks to its appearance. Mt. Kumbhakarna forms the head and face of Buddha, while Kanchenjunga forms the upper body. The other peaks that make up The Sleeping Buddha are Kokthang, Rathong, Frey, Kabru South, Kabru North, Simvo, Mt. Pandim, Tenzingkhang, Japanu, Narsing. The route of this trek lies along the border of India and Nepal. In fact, one constantly moves in and out of Nepal during the trek. The mighty mountains, of course, know no boundaries. They stretch through Nepal, India, Bhutan and further. This trek can be done in two seasons, each providing a unique experience. The months of October and November offer crystal clear mountain views and you can enjoy glorious sights of sunrise from Sandakphu and Phalut. If you trek later in winter, you can even experience fresh snow at Sandakphu! Trekking on this route in the spring gives you colorful forest vistas, interspersed with rhododendrons and magnolias. Another curious feature of this trek is the Kalipokhri (Black Pond). It is a beautiful black pond that one comes across on Day 3. Its water never freezes and Buddhists consider it holy. The shape of the lake has given rise to the belief that that it signifies Shiva’s right foot! The Har Ki Dun valley, also known as the “Valley of Gods”, is a cradle shaped hanging valley in the Garhwal Himalayas. It is surrounded by snow-covered peaks and alpine vegetation. It is connected to Baspa Valley by the Borasu Pass This valley is at an altitude of approx 3500m above sea level and is snow-covered from the month of October to March. On the trek to Har Ki Dun you’ll get close views of a big glacier, walk on moraine and scree and get very close to the famous and towering Swargarohini peaks. If you are willing to do more than just touch Har Ki Dun and head back then Har-ki-Dun with Jaundhar glacier is a complete trek having many shades of mountain landscape and culture which are sure to impress even veteran trekkers. For people who love to see flowers there is a small stage possible on the day we leave for Seema from Har Ki Dun to a place called Haata. The meadows here are almost fully carpeted with alpine flowers and make a very pleasing sight. Contrary to the popular belief Har Ki Dun trek not a very easy trek and has long walks on almost all days and is suitable for seasoned trekkers as well as fit beginners. This trail is situated in the Govind Wildlife Sanctuary & National Park in Garhwal Himalayas. We drive from Dehradun to a beautiful village called Sankri where we spend the first night and from here a short 40 mins drive the next day gets us to Taluka, a small market place which is our starting point. From here we trek up to a place called Seema, walking through beautiful forests and interesting villages. Trek to Har Ki Dun gives an opportunity to meet local people and get to appreciate the local architecture and way of life as we move up the trail. From Seema we hike up to Har-ki-Dun the next day and land ourselves in a complete paradise. Camping on the meadows here is sheer pleasure. We do a days excursion from here to Jaundhar glacier reaching up to a height of around 4300 m to get fantastically close to the base of Swargarohini peaks. High altitude terrain here is quite interesting. In the last stage of the trek we walk back to Seema and then to Taluka to finish what is surely going to be a memorable trek. Himalaya is full of incredible treks. There is no doubt that, fro Hampta pass to pin parvati, every trek has mesmerizing views. Amazing list of treks. It means there are a lot more to explore for me as well. Although I recently did Kheerganga Trek up and down in just 6 hours. And with my experience I jotted down some tips to do the trek swiftly than other trekkers and I am sure you can add some good tricks to that list. The Himalayas offer such awesome trekking opportunities. I have been to the valley of flowers and loved it. I would love to go for the Har ki Dun trek next. I love your pictures! They are so stunning and amazing! Everest Base Camp is on my travel list! Can I ask what size of pixels do you use for the last picture? Thanks for the feature. Everest Base Camp remains one of my most favourite travel experiences. I would like to repeat it someday. I have yet done been to Valley Of Flowers. I hope I can make it there this year. Your post reminds me about my lovely trek to Roopkund too. Thanks for the contribution. Kudos to you and your spirit of doing EBC, the moment you quit your job. Will be waiting for your photos then. Kashmir is our dream. What do you think of safety? Everyone tells us to not go, but we thinks it’s great and want to go. Absolutely love this post, amazing treks! Har Ki dun we want to do wow it looks great! What a guide seriously! Kashmir is one of the best places with abundance of natural beauty. Though the situation is a bit tense these days, you can check it out with an Indian in your group. Very detailed description of the place and also I like the pictures. If you are ready to share could then what camera are you using. I have never been to Himalayas as most of the time I am travelling to south of India. After viewing your beautiful pictures and reading your blog Himalayas comes next. Hampta Pass is the the most peaceful and scenic location for me. Also one query that can we do one at a time or cover all in one go? 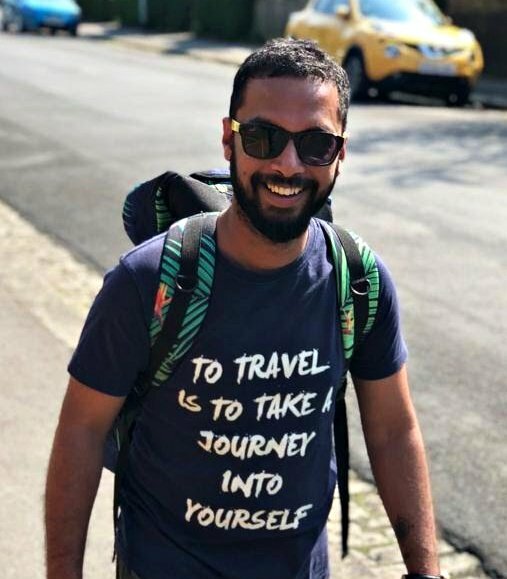 All these treks can be enjoyed if given proper time, and thats why I suggest not doing too many in one go.However, depending on the location you can try out 2-3 at one go. I was especially taken with Kashmir Great Lakes Trek in the Himalayas and the way you described it. I could imagine going through the pine jungle trek and smelling the fresh air around me. (Living in Korea has made me forget what clean air smells like because it’s so polluted here.) I’d also like to see valley of the flowers and learn about the beautiful nature in the meadows according to my guide. You should definitely try out Valley of Flowers trek. I’ve done the Everest Base Camp trek before, but the Swargarohini & Satopanth Lake Trek looks like it could be next on my list. Thanks for the extra detail on the dog story..that makes it even more fun. How was the EBC? I plan to do it someday. Will be waiting for your photos and experience of Swargrohini trek. These are all beautiful places. I have not tried hiking for a long period of time. I admire someone who is passionate in hiking. It can be really strenuous but it will be totally worth it when you see a picturesque view. I would suggest this article to my friends. Thank you so much. And you should definitely try out Hiking when you are in India. This is a great recommendation list for mountaineers and hiking enthusiasts. For the whole year one will be able to pre occupy themselves with new and different destinations. Amazing pics of those different destinations! The Himalayas are definitely a place I want to head to, it’s just so beautiful there. Your photos are stunning and making my wanderlust stronger haha. I’m not much of a hiker, but I may make an exception for these spots! Even I was not a hiker initially, but all it took was one 4 day trek in the Himalayas to change all that. I enjoy hiking wherever I am in the world. I love your photos, seeing them makes me want to take my next hike in India!! Now that you have thought about it, you must start materializing the thought and give a shot at hiking in India. As a very keen camper, hiker and lover of the great outdoors, I had no idea how much there was to see in India. The extent of the beauty I have seen in this post is just breath taking. How lucky you have been to experience such wonders of nature that I truly hope to see for myself one day. Amazing write up and such stunning photos. Thank you so much. You should definitely try out hiking and camping in India sometime.